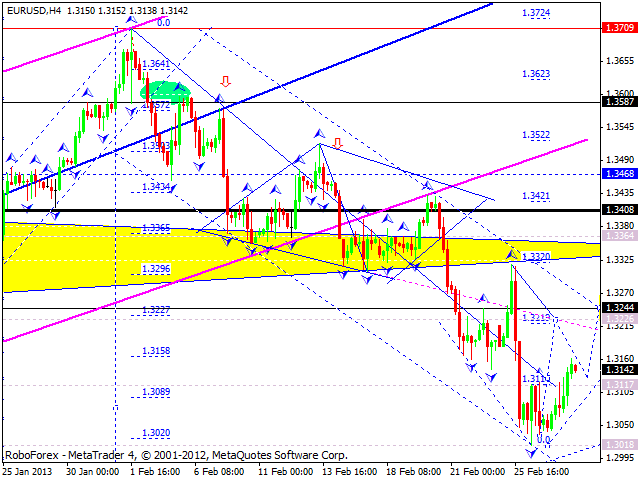 The EUR/USD currency pair is forming the second ascending impulse. I think today the price may complete this impulse near the level of 1.3220 and then start a correction towards the target at 1.3120. Later, in my opinion, the pair may form another ascending impulse to reach the target at 1.3240 and then start one more correction to the same level, 1.3120. The GBP/USD currency pair is trying to start the third ascending impulse. 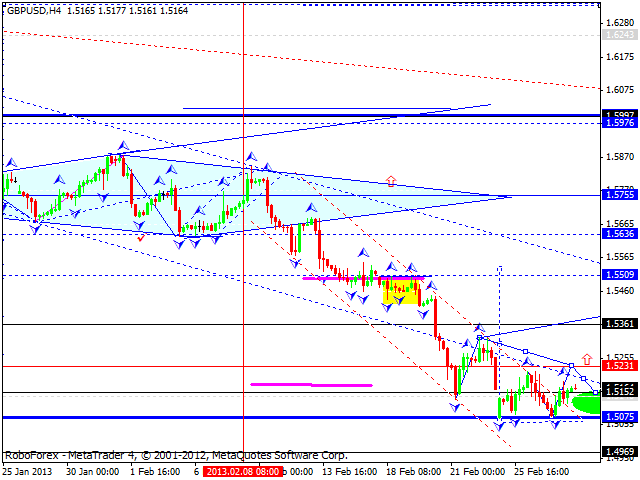 I think today the price may finish this impulse near the level of 1.5230 and then return to the level of 1.5130. 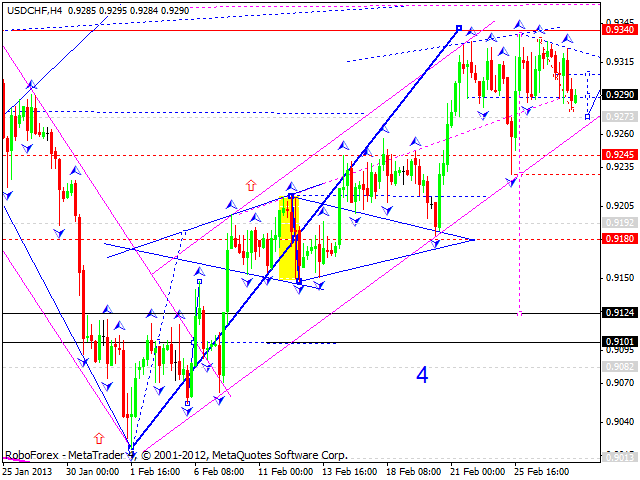 The USD/CHF currency pair is consolidating near its maximums. I think today the price may reach the level of 0.9300, fall down to break the level of 0.9270, and then grow up again to reach the target at 0.9340. This may be considered the end of this ascending wave. Later, in my opinion, the pair may form a reversal pattern for a new descending movement. The USD/JPY currency pair is correcting the latest descending impulse. I think today the price may reach the level of 92.72 and then form another descending structure towards the target at 90.85. After that, in my opinion, the pair may continue forming an ascending wave. The next target is at 97. 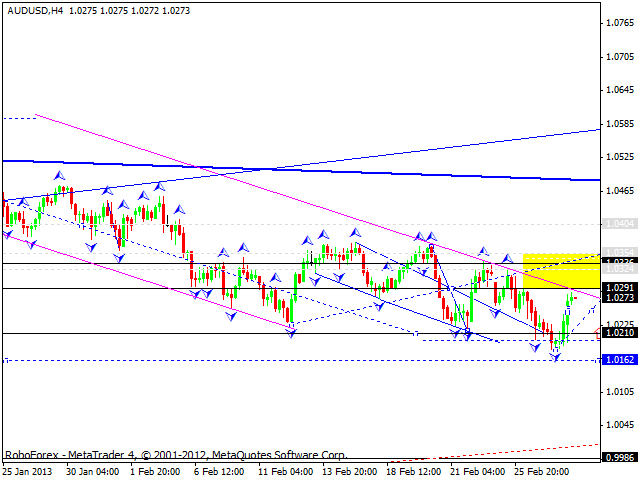 Australian Dollar started forming a linking wave; the price has already reached the level of 1.0300. I think today the pair may start a correction towards the level of 1.0250 and then form another ascending structure to reach the target at 1.0320. 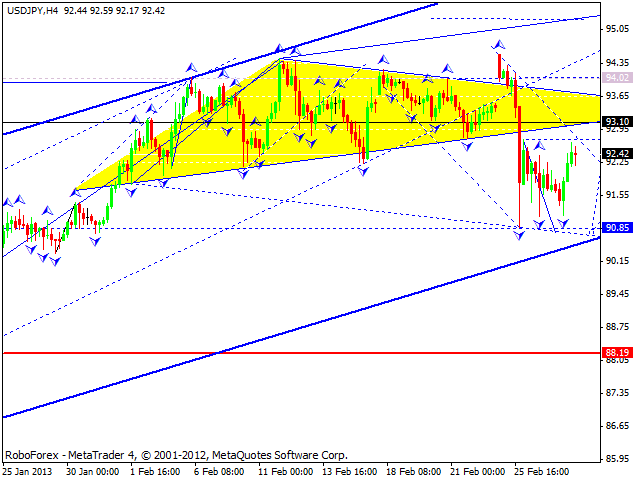 This may be the end of this correction and the pair may continue falling down towards the target at 0.9990. Gold continues forming a descending correction. I think today the instrument may reach the level of 1585 and then start a new ascending wave towards the level of 1650. The target of this correction is at 1660. 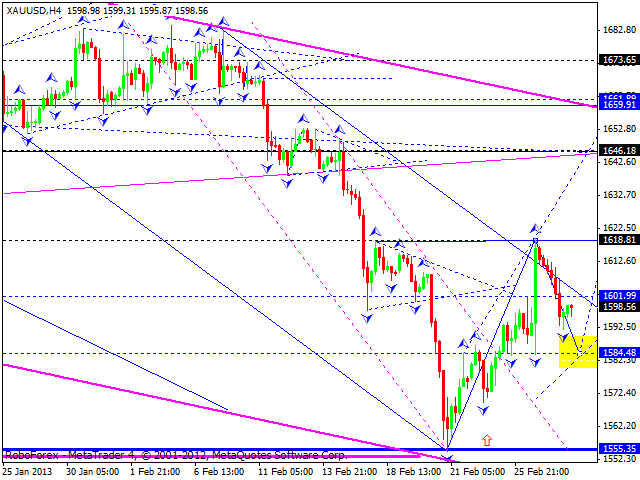 Later, in my opinion, the price may start another descending structure with the target at 1525.